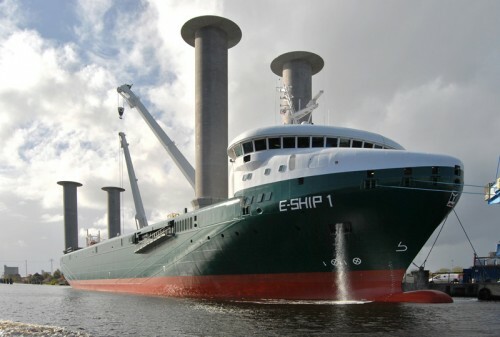 Wind powered shipping is back! This article from Clean Technica explains how German wind turbine manufacturer Enercon pulled an old technology out of the vaults to make it cheaper and cleaner shipping their turbine blades. But they don’t use sails or kites: they use giant “Flettner rotors” which apply the Magnus effect to generate motion. Previous Previous post: where are the Landscape Guardians when you need them?